Credit Scores and Credit Reports – Why Does it Matter? Why Do You Need to Know More About Your Credit? 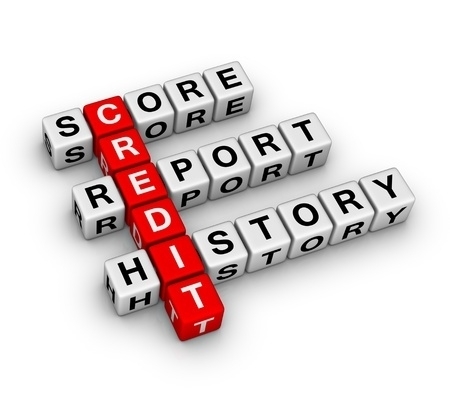 The definitions of credit score and credit report are important. A credit score is a numerical representation of an individual’s credit worthiness. Your credit score can be different depending on how it is calculated and by whom, but one of the most popular scores is a FICO score. Your credit report is a report of all your credit history, payment history, loans, credit cards, and other financial and personal information. All Americans who have a credit report (most who are over the age of 18 will have one) can receive their credit report for free once a year from each of the three reporting agencies, Experian, TransUnion and Equifax through www.annualcreditreport.com. According to the CFPB statement, less than 1 in five Americans checks their credit report in any given year. Checking your credit report is the best way to make sure your credit score is an accurate representation of your credit history and payments. Considering that a credit score is one of the main indicators that lenders use to determine an individual’s creditworthiness, it is very important that customers know what their number is and that they know the information that supports it. Checking a credit report from each of the main reporting agencies is free, as stated above, but your credit score is not and that is why Cordray is pushing to have the banks supply it to their customers. In addition, customers who obtain their credit score and realize that the credit score is lower than they were expecting can and should be digging deeper into what that credit score means. Logically, if you know your credit score and are curious about how you received that score, the natural thing to do would be to check your entire credit report. Inaccuracies in credit reports are quite common and can lead to potential losses in the tens (or even hundreds) of thousands of dollars if they go undetected. Take this scenerio for example: David has a credit score of 690. Imagine David should have a credit score of 760 but because of an inaccuracy he has a credit score of 690. David applies for a loan. He is not turned down, but instead receives the loan at a higher interest rate. With a credit score of 690 he could get Auto Loan ‘A’ for $25,000 at 3.9% APR (which is pretty good). But if he had a credit score of 760 he could receive Auto Loan ‘B’ for $25,000 at 2.29% APR. For Auto Loan ‘A’ he would pay $2,557 in interest over a five-year loan or for Auto Loan ‘B’ he would only pay $1,483 in interest. That is a difference of over $1,000. If David were applying for a home loan/mortgage this difference could easily be ten times higher (over $10,000). It is easy to see in this case why it would be so important for David to know his credit score and view his credit report. He could have worked to correct the inaccuracies on his credit report prior to applying for a loan and saved himself potentially thousands of dollars. Knowledge is power and this knowledge can help improve your understanding of your overall perceived credit worthiness, in addition to giving you the ability to review and correct potential inaccuracies. If more customers know their credit score, then more customers will know how creditors see them. An individual’s credit score is representative of their creditworthiness. As an individual, you need to know the information behind your credit score and be proactive in correcting inaccuracies on your credit report. Only you can know what should be in your credit report.